Vitamins & MineralsNOW Foods Special Two - 180 tabl. The advanced formula of vitamin and mineral based on highly absorbable amino acid chelates Albion. 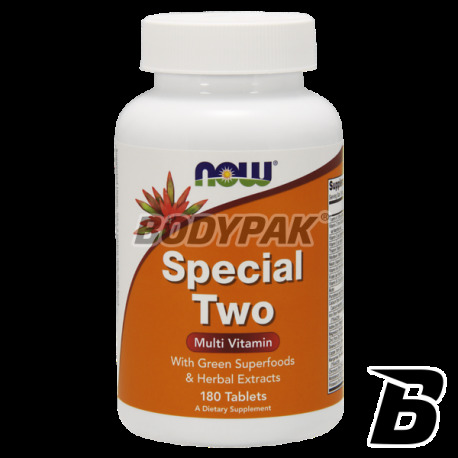 It contains added lutein, routine bioflawanoidy citrus and extract as many as 22 fruits and vegetables! Bet on the quality! Comprehensive vitamin and mineral supplement designed for pregnant women. Very good assimilation thanks to Albion amino acid chelates! The highest pharmaceutical quality at a good price!